If only life were as simple as choosing between shaken or stirred. Sage Jeffries grew up an overachiever. She studied, excelled, and became a mechanical engineer for a firm in San Francisco. Yet much to her family's surprise, right before turning thirty, she made a bold move to Los Angeles and became a bartender at The Yard. Now, she spends her time mixing drinks and trying new things. Her life is good, fun . . . except for two teeny tiny challenges-she's in love with her best friend's older brother, and her sister bought her a book, Nice to Naughty in Ten Easy Steps and dares her to master every step. Sage never backs down from a challenge. Garrett Rye is Ryeland Farms. He grew up under his father's wing and has now taken over operations. Working the fields was nothing compared to the hassle of managing, but keeping the farm running without hiccups is what's expected. His brother and sister may run The Yard, but Ryeland Farms is the rock of their family. No matter how many changes swirl around him, Garrett intends to keep it that way. It's New Year's Eve and Sage, who's had too much tequila, is realizing it's easier to read about "naughty" than actually put it into practice. Instead of a wild night, she ends up tucked into Garrett's truck, spilling her heart. 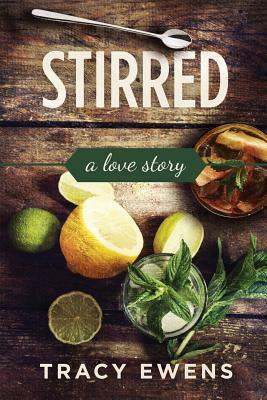 Now, Garrett is finding it impossible to concentrate on keeping things business as usual when the woman he's only noticed behind the bar suddenly wants to raise the bar. Both stirred and shaken, Sage and Garrett will have to decide whether to keep mixing things up or if they should put their feelings on ice.